TRY MORE OF OUR KICKBOXING ROUTINES HERE! SUBSCRIBE to our EMAIL LIST to get our FREE 15-Day Program! Bored with crunches? 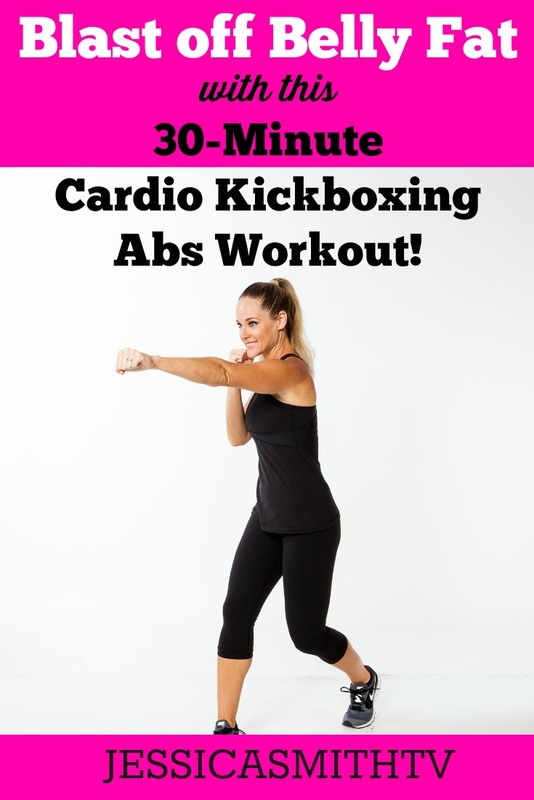 Give belly fat a one-two punch with this cardio kickboxing abs workout! Blast off more calories by working more muscles at once with these core-centric kickboxing inspired moves! Get ready to sweat and give this one your all (beginners, try mastering this workout first). Still a day behind. This was a rough for me but made it through. Thanks so much Jessica, just what I was hoping for! Lots of great combo moves, works the entire body! That was awesome….I am now the Queen of the World! Thank you for another great workout. This one certainly got the heart rate going.